Our range of services include interior decorator, jewellery shops interiors and interior decorator projects. 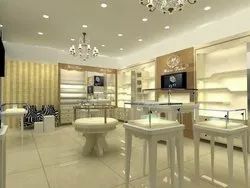 There has been use of wood, stone, glass as well as various metals for creating the artifacts and accessories which make the place beautiful and attractive. Special efforts have been made to give the place a look matchthing e culture of the place with the modern architecture. Looking for “Interior Decoration Projects”?